All Kentucky voters will be asked to vote on a proposed constitutional amendment called Marsy's Law on Tuesday's ballot. On election day, Tuesday, Nov 6th, polls in Kentucky will be open 6am to 6pm. Unconditional Early Voting isn't allowed in Kentucky (as it is in many states), but in most cases, if you won't be in the Kentucky county where you're registered to vote on election day, you can vote absentee. 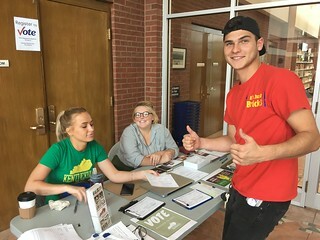 Tomorrow (Tuesday, 10/9) is the voter registration deadline in the state of Kentucky. 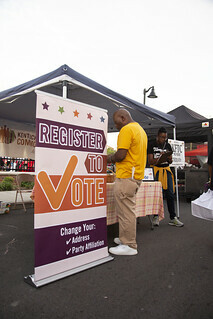 If you want to check your voter registration status just to be safe, visit the Voter Information Center.